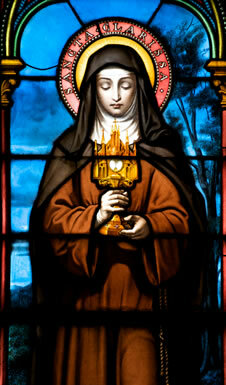 Today I honor a woman and a religious community that I have revered since I was 13 years old. When my father was transferred from Boston, MA to Syracuse, NY for work, it seemed as if we had moved to the end of the world. Actually it was only eight hours by train from all those relatives left behind. For the family of Barbara Cope, as she was known then, the trip in 1840 was longer: from Germany to Utica, NY when Barbara was only two years old. When she was 24 years old she entered the religious order of St. Francis in Syracuse, about two miles down the road from where I found myself in 1960 at St. Daniel’s School, being taught by the descendants of those very same Sisters of St. Francis. There are many stories attached to the life of this brilliant, generous woman. The stories and the gifts live on in her Sisters, ministering among us in the spirit of aloha. For all of them, and for that joyous spirit that welcomed me so warmly in 7th grade, I shall be forever grateful. Happy Feast Day, Sisters! It’s late afternoon here in the Northeast of the USA and I might normally skip the daily blog post on a day this far spent but today is the feast of St. Clare and I want to say a word (or more) about her. Clare was only 15 years old when she escaped her home against her parents’ will and begged Francis of Assisi to accept her as a member of his small band of itinerant monks. Clare’s parents dragged her away, locking her in the house, but she was having none of it. She sneaked out under cover of darkness, went to Francis and made him cut off her beautiful hair as a symbol of her desire to renounce all worldly things to serve God. Happy is the person who clings with all her heart to our Lord and shares in God’s sacred banquet. God is the one whose kindness electrifies, whose contemplation refreshes, whose love satisfies, whose joy replenishes, whose celebration illuminates the world, whose fragrance resurrects the dead, whose splendid vision blesses, whose eternal glory shines, whose everlasting light burns brightest, whose mirror reflects all things flawlessly. One could spend a very long time reflecting on those phrases. Clare spent almost 45 years doing so in quiet contemplation and communal prayer with her Sisters in community. In her later years she was visited by all manner of people, including bishops and other high officials who sought her counsel. For almost 800 years her simple message has endured and her advice to us speaks again of God’s Mirror: Look into that mirror each and every day. Study your face in it forever. Then you will put on the most beautiful clothes and wear them and every one of virtue’s flowers, because happy poverty, holy humility and indescribable kindness are reflected in that Mirror as you contemplate them there. I’m on my way out early this morning to share with 25 people interested in considering influences in their lives of faith. I have chosen four from the 2000 years of Christianity. My choices are those that follow here. Jesus, without whom there would be no Christian path. Saint Francis, the “Little Poor Man of Assisi,” who surrendered everything of himself for God in love, who delighted in all of God’s creation and who founded a religious order that thrives today in an attempt to renew/rebuild the Church. The Second Vatican Council, which “opened the windows” fifty years ago to let in the Holy Spirit, ushering in a new way of being Roman Catholic that reverberated throughout the Christian world and engaged lay people in a way that had not been seen since the early days of Christianity. The opening lines of the document on The Church in the Modern World say this: The joys and hopes, the griefs and anxieties of the people of this age, especially of those who are poor or afflicted in any way, these too are the joys and hopes, the griefs and anxieties of the followers of Christ. Indeed nothing genuinely human fails to raise an echo in their hearts. Pope Francis, named for the above-mentioned saint, who has rocked the world with his simplicity, his humility and his loving ways. Francis has given new hope for people the world over for a Church that is less hierarchical, more Christ-like and ecumenical, focusing on the ideals expressed at the Second Vatican Council, calling Catholics and others to care for the needs of the world as his predecessor, St. Francis, did so vividly. What people/events would be on your list? I was 13 years old when the film, Francis of Assisi was released. Being a good Catholic girl who was brought up on devotion (and being a new teenager), I was swept away by the total renunciation of Francis upon his conversion (what many called madness), the ideal of his community life with his brother friars, beggars all, who had only what God provided, and – especially perhaps – his relationship with the beautiful and sainted Clare who followed him to a life of poverty and praise of God. My fondness, although probably skewed by my age and the media, still endures for both of these saints. Today we celebrate the feast of the real-life Clare who chose hardship over a life of ease, poverty over wealth and devotion to God and the things of God over everything else. She was 15 years old when she first encountered Francis and was awakened to God who was already shining through him. At age 18 she left her parents’ home to follow the way of his community and at 21 became prioress for life to the women who had followed her into this life of seclusion and austerity, becoming the order that survives today as the Poor Clares. These women went barefoot, slept on the ground, ate no meat and observed almost complete silence. Their emphasis was on gospel poverty; they possessed nothing and subsisted on daily contributions. I was fortunate several years ago to visit the convent of San Damiano where Clare lived and died. There is nothing of the cinematic in that place, but one can easily sense the holiness that has lived within those walls for centuries. It is said that each time Clare emerged from a period of prayer, her face shone with a radiance that dazzled all those around her. That serene beauty was visible to me in the faces of the pilgrims sitting in silence on the floor as I entered the room where Clare died. The spark of God can be lit at any time in any way in our lives. For Clare it was the presence and eagerness of Francis as he spoke of “Lady Poverty” to the 15 year-old Clare. For me watching a movie at 13 it was less “new news” because I was at that time being taught by Franciscan Sisters who inspired me each day at school as well as and especially Mother Marianne (now a canonized saint) who left the familiar life of her convent in Syracuse, New York in the early 20th century to work with the lepers – so dear to Francis – on the island of Molokai in Hawaii. But inspired we were. No matter the beginning, the living out or the end of our journey. The key is, I think, the willingness to recognize that fire, the sign of God’s call to whatever life holds for us, that leads to a yearning for a depth that can only be realized if we keep the spark alive by fanning the flames of love. 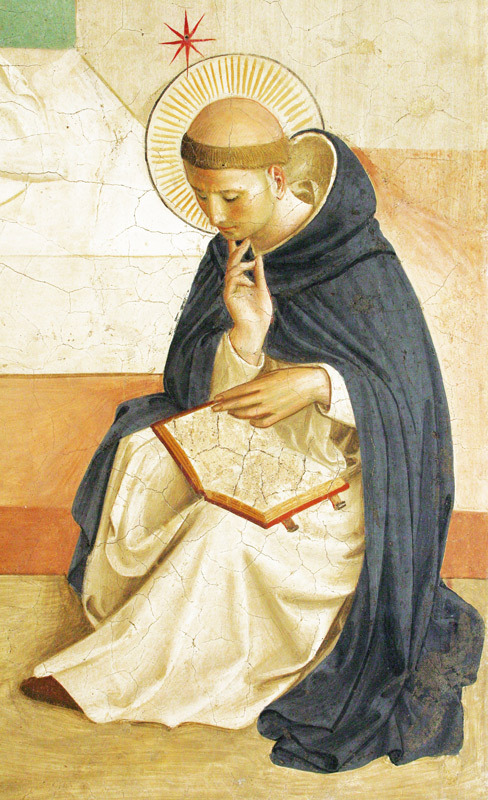 Today is the feast of St. Dominic, a contemporary of Francis of Assisi, who – with Francis – has endured in the memory and practice of the religious orders of men and women who have followed in his footsteps since the 12th century. Having met Francis after seeing him as a beggar in a vision, Dominic is credited with the quote, “You are my companion and must walk with me. If we hold together, no earthly power can withstand us.” As the Franciscans embrace the ideal of working with the poor, the charism of the Dominicans is preaching. In fact, they are called the Order of Preachers. 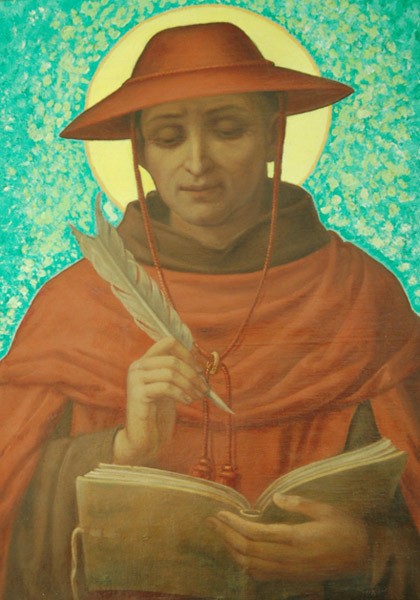 Dominic began priestly life as a contemplative and would have remained in that structure had he not been called to a preaching crusade against the Albigensian heresy in France. When he realized that the common people were not receptive to the preaching because of the seeming wealth of the retinue (fine horses, best food…) he became an itinerant preacher – not unlike Francis – in order to be a more authentic voice. His message clearly came from his belief of “contemplation in action” as prayer was the foundation and direction of everything he did and how he spoke. His manner of living was captured in the imperative: Speak only of God or with God. Today seems an appropriate day to observe how much of my time is spent speaking with God, how much is spent speaking of God in word or action and how much of my thoughts or speech falls into neither of those categories.